Edition of 18. Wide-band, heavy-gauge steel frame with wide-rounded corners and sleigh feet. 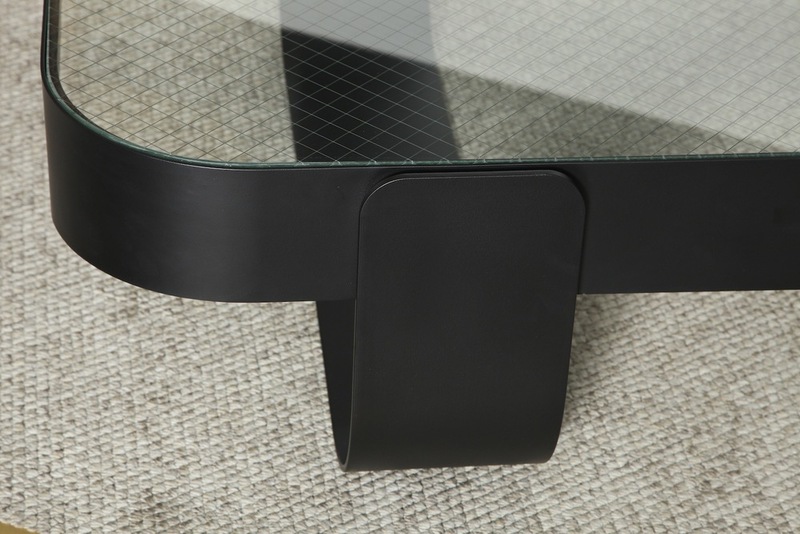 Black powder coating and inset wire-mesh glass. Available in two sizes, each in a separate edition. This listing is for the larger of the two sizes. Each table is signed and numbered and made here in NYC. Lead time 8-10 weeks. h. 15" w. 60" d. 36"